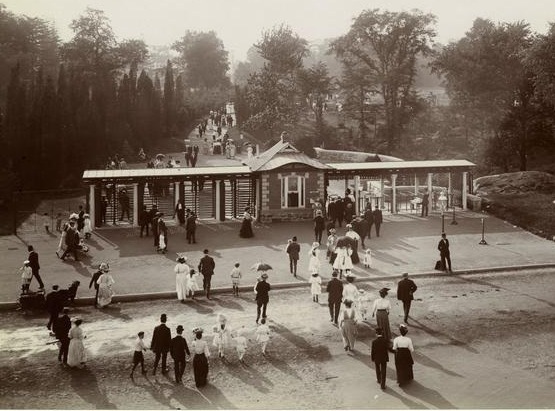 In 1906 the crowds thronged the monkey house exhibit at the Bronx Zoo (New York Zoological Park). 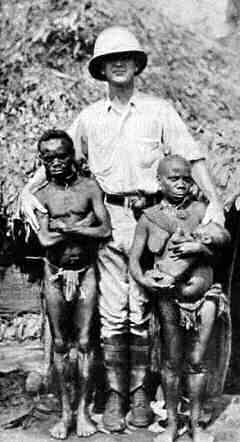 Here were man's "evolutionary ancestors" - monkeys, chimpanzees, a gorilla named Dinah, an orangutan named Dohung and an African pygmy tribesman named Ota Benga. 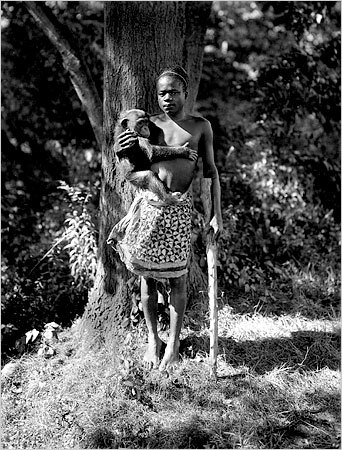 Ota Benga, a Congolese pygmy, posed at the Bronx Zoo in 1906. Ota Benga was brought from the Belgian Congo in 1904 by noted African explorer Samuel Verner along with other pygmies and displayed in an exhibit in the 1904 St. Louis world's Fair. 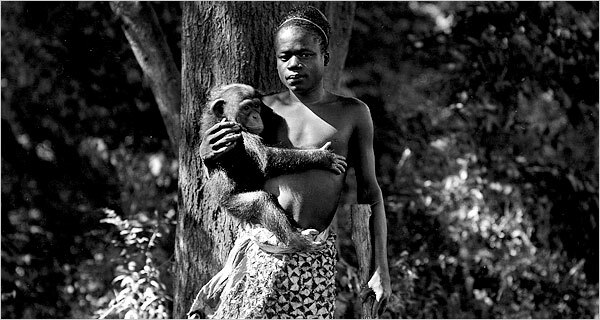 Ota Benga (or "Bi", which means "friend" in his language) was born in 1881, had a height of 4 ft. 11in. and weighted 103 lbs. Although he was referred to as a boy he had been married twice. 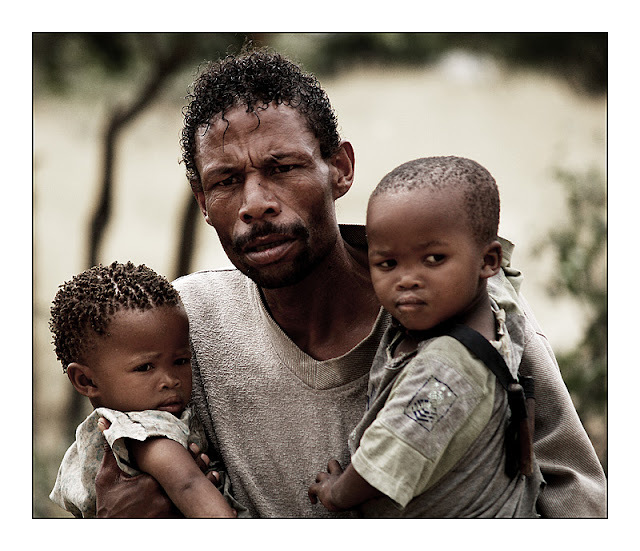 His first wife had been captured by a hostile tribe and his second wife died by a snake bite. The exhibit was immensely popular and controversial; the black community was outraged and some churchmen feared that it would convince people of Darwin's theory of evolution. Under threat of legal action, Hornaday had Ota Benga leave his cage and circulate around the zoo in a white suit, but he returned to the monkey house to sleep. 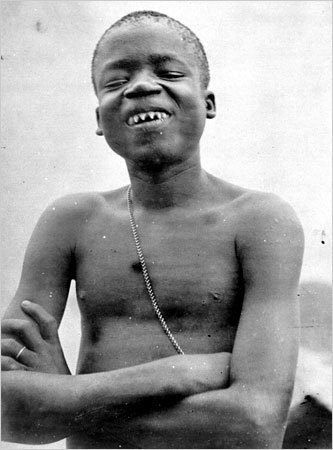 A photograph of Ota Benga showing his sharp teeth taken at the 1904 World’s Fair. "Teeth sharpening is practiced by both men and women in the tribes of the Congolese Pygmies and the Mentawai people of Indonesia. 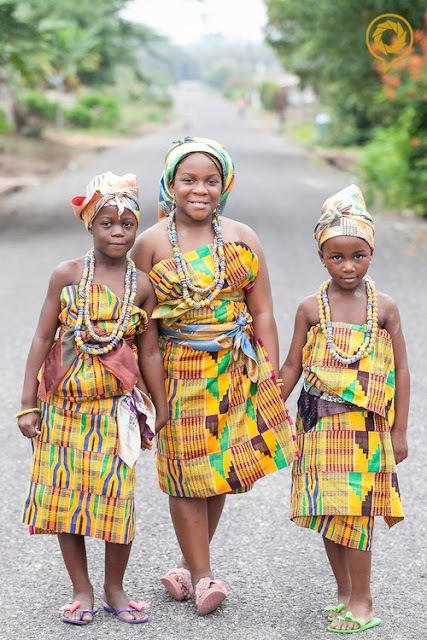 Children from both of these tribes file their teeth as part of their spiritual practices and rites of passage —to prove themselves worthy to the tribe." 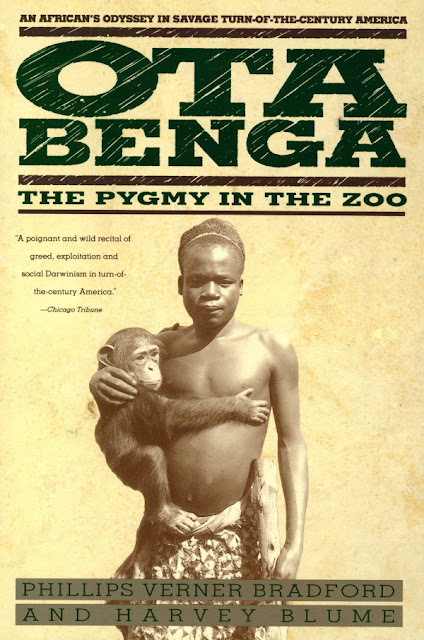 In time Ota Benga began to hate being the object of curiosity. "There were 40,000 visitors to the part on Sunday. Nearly every man, woman and child of this crowd made for the monkey house to see the start attraction in the park - the wild man from Africa. They chased him about the grounds add day, howling, jeering, and yelling. Some of them poked him in the ribs, others tripped him up, all laughed at him." 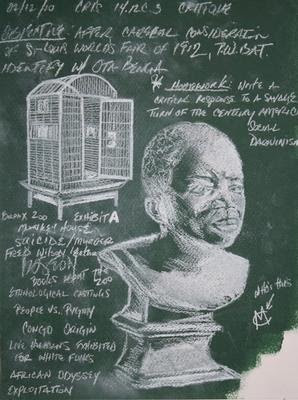 (Creation Ex Nihilo, quoting Phillip V. Bradford and Harvey Blume, "Ota Benga: The Pygmy in the Zoo", St. Martins, 1992, p. 269, from the "New York Times" Sept. 18, 1906) At one point, he got hold of a knife and flourished it around the park, another time he produced a fracas after being denied a soda from the soda fountain. Finally, after fabricating a small bow and arrows and shooting at obnoxious park visitors he had to leave the park for good. After his park experience, several institutions tried to help him. He was placed in Virginia Theological Seminary and College but quit school to work in a tobacco factory. According to Hornaday (who probably had evolutionary racist views) "he did not possess the power of learning" (Creation Ex Nihilo, Vol 16, No. 1 Dec. 1993-Feb 1994, pp. 48-50). Growing homesick, hostile, and despondent Ota Benga borrowed a revolver, and shot himself in the heart, ending his life in 1916. 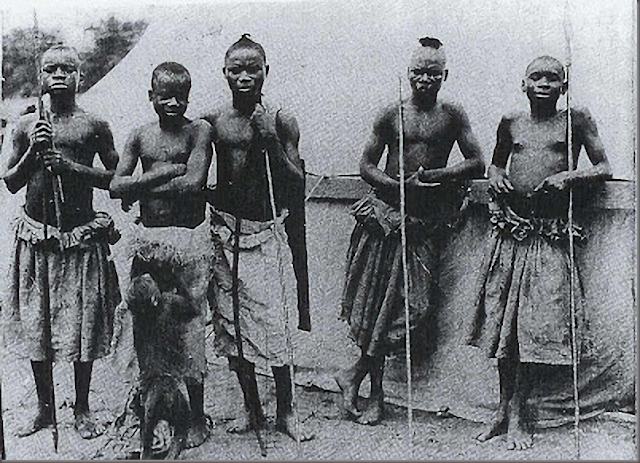 Ota Benga (the second man from the left) and other Congolese pygmies are at the exhibition in St. Louis (1904). last as a scandal flared up almost immediately, fueled by the Indignation of black clergymen. 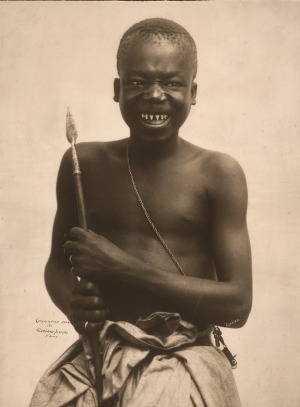 Ota Benga, the Congolese pygmy with his huntin spear once lived at the Museum of Natural History (where he was forced to wear a duck costume!) 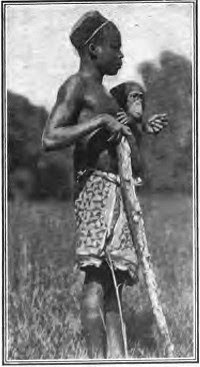 before being scandalously exhibited for a short time in the Bronx Zoo monkey house in 1906. 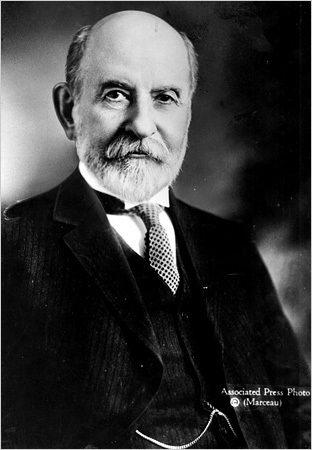 William T. Hornaday, the zoo director, defended the exhibit. 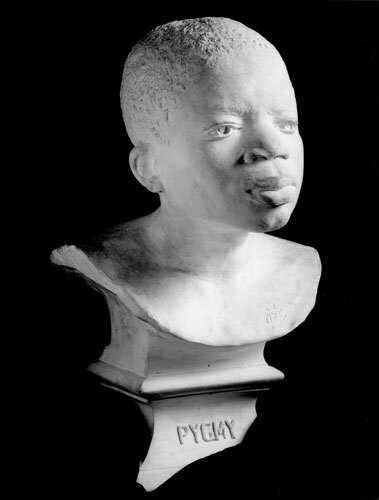 A sculpture of Ota Benga, in storage at the American Museum of Natural History. by Dr. Samuel P. Verner. Exhibited each afternoon during September.